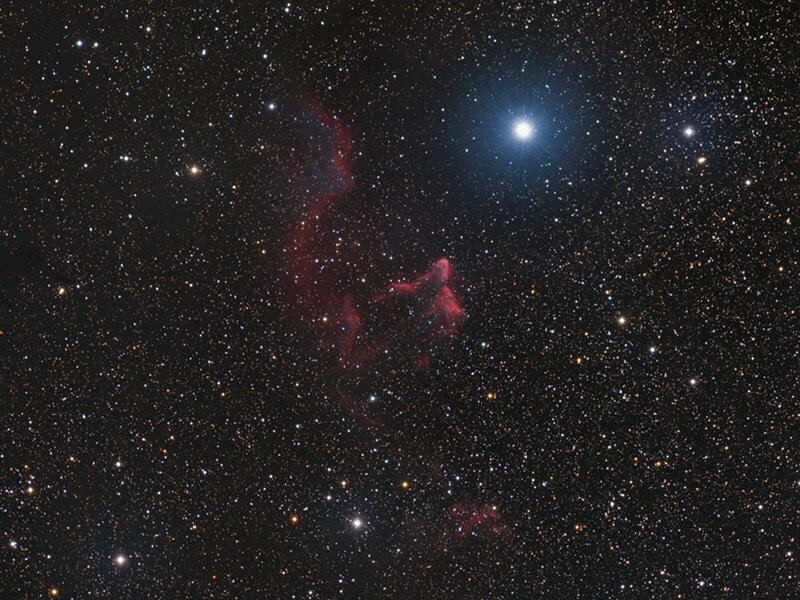 The bright star Gamma Cas is attended by two large wisps of nebulosity, IC 59 and IC 63. Gamma Cas is the middle star of Cassiopeia, a 2nd magnitude star that is the prototype for a class of eruptive variable stars. 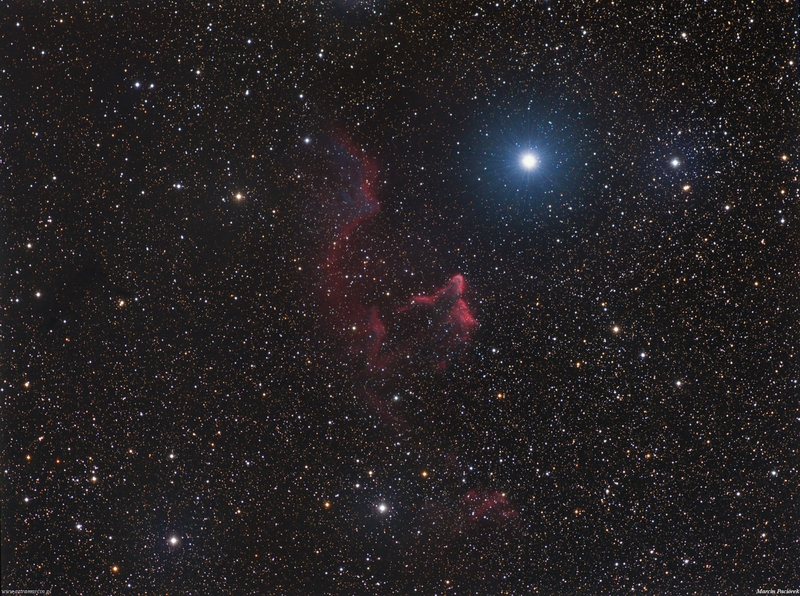 IC 59 lies to the north of Gamma Cas. It is primary a refection nebula, appearing blue in photographs from scattered starlight that is passing through it. Like the blue sky over your head, some of the light passing through is scattered away, and blue light is scattered more than red. This light probably originates from nearby Gamma Cas, which may also have shed this nebulous material into the space around it. IC 63 lies to the east-northeast. 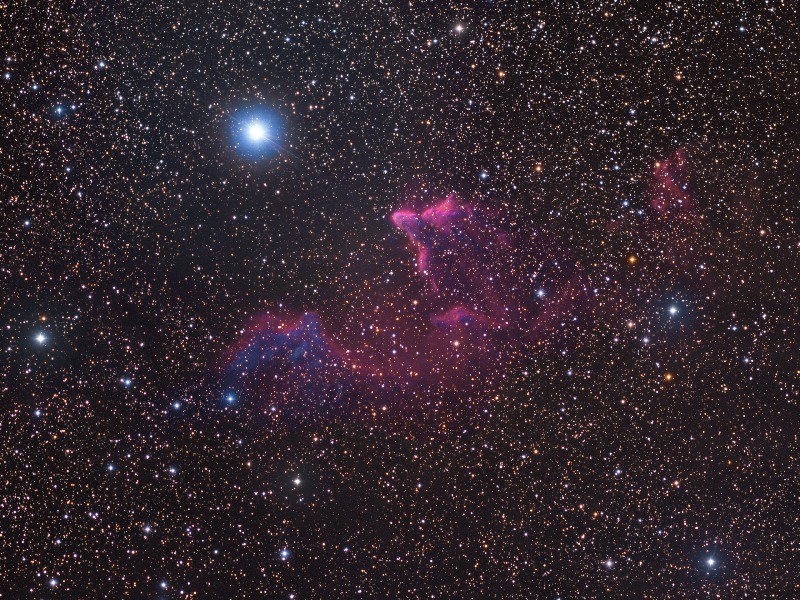 This nebula is a combination of HII region and reflection nebula. 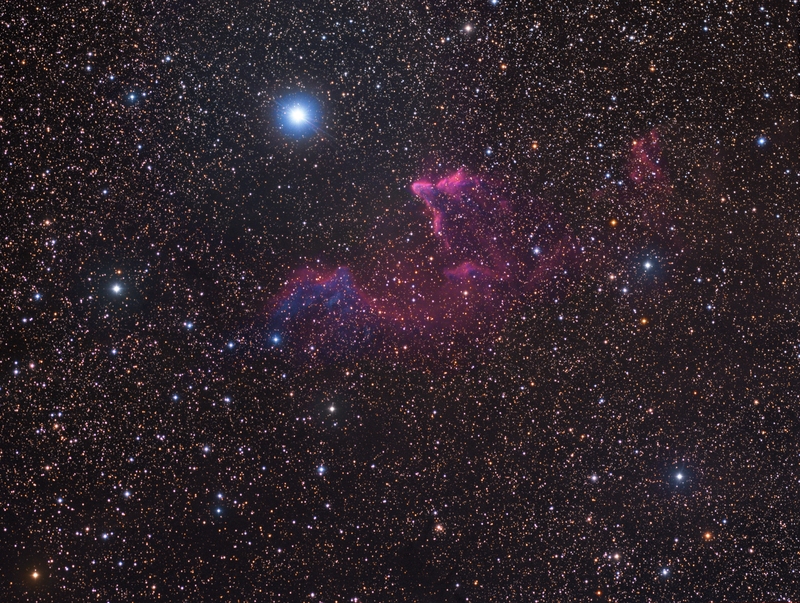 Unlike a reflection nebula which appears blue, the glowing hydrogen gas appears red in photographs. Half way between IC 59 and IC 63 you can see a small nebula however I was not able to find the designation.